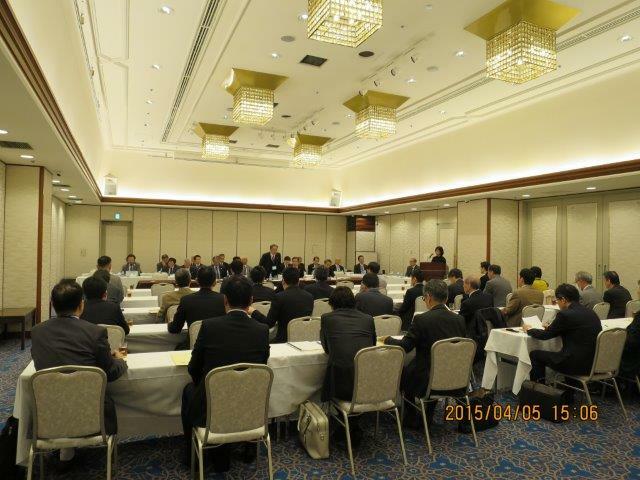 The Bone and Joint Decade Japan (BJDJ), comprising orthopedic surgeons, medical schools, sports and healthcare professional organizations, health systems providers and industry, held Executive Board Meeting followed by an annual joint meeting of members in Tokyo on Sunday, April 5, 2015. The meetings reviewed BJDJ’s activities in Fiscal 2014 and approved plans for Fiscal 2015 starting from April in an effort to improve prevention of bone and joint disorders and the quality of life for those affected. BJD is a global alliance of of over 1000 national/international organizations in over 60 countries.. Highlights of the agenda included a preliminary report on massive survey collected from 10,228 junior baseball players of under 12 years old from 539 teams throughout Japan. BJDJ, the Japanese Orthopaedic Association and Baseball Federation of Japan jointly conducted the survey since August, 2014 to establish guidelines of bodily care for growing junior baseball players. This will be followed by another survey to the same players in one year to obtain a better understanding to arrive at a recommendation to withstand the academic test. The result of the first survey is being analyzed for publication in the near future. BJDJ conducted 10 baseball coaches clinic for the past 12 months with the total of 1441 students took the course. BJDJ decided to continue the clinic for 3 consecutive years in 2015 with the help of Japan Rubber Baseball Association and its local branches in many parts of Japan. The coaches’ clinic is dedicated to educate junior baseball coaches how to prevent growing baseball players under 15 from getting injured during their plays.